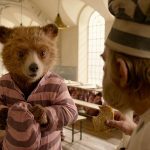 Joyce Glasser reviews Paddington 2 (November 10, 2017) Cert. PG, 103 min. 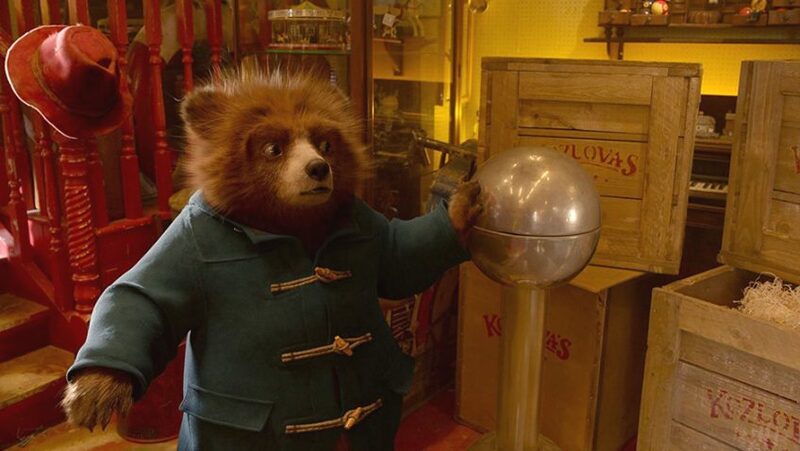 As far away from his Peruvian jungle home as he could be, Paddington, the marmalade-loving bear (again perfectly voiced by Ben Whishaw) has now usurped Hugh Grant’s place as the most beloved Notting Hill celebrity – or has he? In co-writer/director Paul King’s cuddly, warm-hearted sequel to Paddington, his 2014 adaptation of the late Michael Bond’s books, the two are neighbours with Grant playing the narcissistic classical actor Phoenix Buchanan, now consigned to dog food commercials. If Chalcot Crescent in Primrose Hill doubles for Windsor Gardens, Notting Hill, it’s all part of the magic that is Paddington 2. While this sequel is not quite as inventive as the original and loses its way in a prolonged train chase, King has once again delivered a delightful, feel-good family treat. 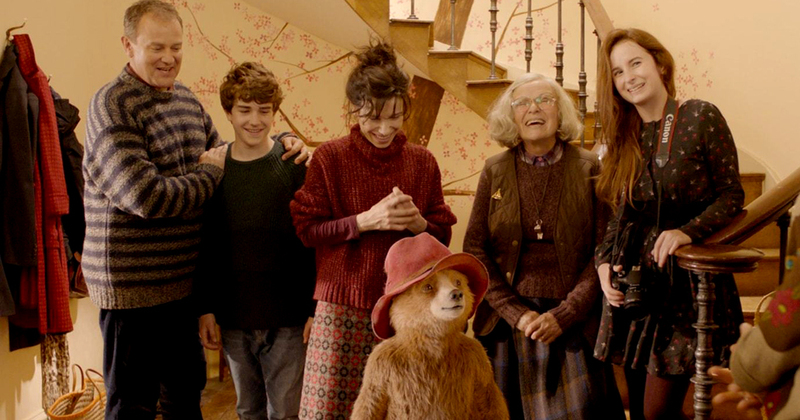 While Paddington is living happily in the Brown family’s comfortable Windsor Gardens home, he cannot forget his Aunt Lucy (who appears in the film’s prologue and epilogue and is voiced by Imelda Staunton) back home and the debt that he owes her. He agonises over what to send Aunt Lucy for her 100th birthday, until he finds a pop up picture book of London in Mr Gruber’s (Jim Broadbent) antique shop. Paddington knows this is the one: since Aunt Lucy cannot not make it to London, her thoughtful nephew will send London to Aunt Lucy. As if to remind us of the magic of book adaptations (like the one we are watching) King and production designer Gary Williamson bring the antique book to life. In a clever sequence of effects Paddington imagines himself travelling through the London landmarks that pop up in the book. It’s a wonderful visual touch and cements without words Paddington’s deep attachment to the book. There is someone, however, who is equally interested in the book, although not for the right reasons. Paddington is determined to find a job to pay for the book and the kind Mr Gruber agrees to set it aside until Paddington has the money. Toward this end, the accident prone bear starts his short-lived career as a barbershop assistant. In a case of bad timing, the barber is out when a demanding customer (Tom Conti) arrives expecting his hair to be cut. In a choreographed sequence with a dose of slapstick Paddington ends up slicing a patch of hair of the back of the man’s head, and he is not happy. Not quite everyone in the neighbourhood is rooting for the guileless, kind-hearted bear. Mr Curry (Peter Capaldi), the neighbourhood bully, resents foreigners like Paddington, which is as far as this subtle Brexit reference goes. Nor is the heartless and duplicitous Phoenix Buchanan a fan. From the ridiculous dog outfit he wears in a commercial to the nun’s habit he dawns to sneak into St Paul’s, Buchanan is a master of disguises, a trait which Grant makes the most of in a virtuoso comic performance. Though Buchanan’s theft of Aunt Lucy’s gift is heartless, Grant is so funny that at times in Paddington 2 you’ll be hard pressed to pinpoint who is scene stealing from whom. By a fortuitous chain of events, Paddington spots the thief in the antique shop and gives chase on the back of an amenable Irish wolfhound, only to see the cloaked figure disappear into thin air. Although Paddington reports the theft in good faith, he finds himself the sole suspect. When the customer from the barbershop arrives on the bench as the presiding judge, Paddington is sent to jail. Here the story divides into two threads. 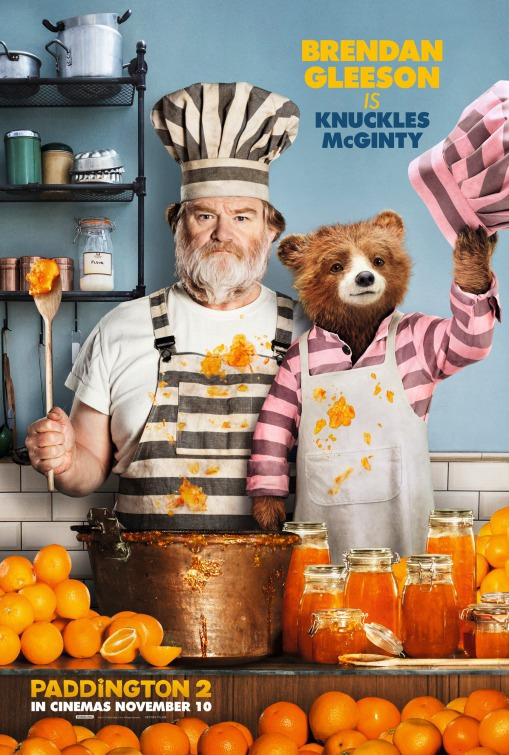 The first shows Paddington adjusting to life inside and ultimately winning over the hardened jail cook Nuckles McGinty (Brendan Gleeson at his best), a former safe-cracker whose threatening presence and reputation prevent the inmates from complaining about the food. Happily converted to marmalade sandwiches the prisoners encourage Paddington to escape with them to clear his name. Fearing that the Brown’s have forgotten him, Paddington overcomes his reluctance and sets out clear his name. Here the Brown family and their pursuits since we last saw them in 2014 come into play. Daughter Judy (Madeleine Harris) has started a little newspaper that she puts to work churning out articles and posters in Paddington’s defence; Jonathan’s (Samuel Joslin) secret – because it’s so uncool – passion for trains helps save Paddington in the weakest segment of the film, while Mary’s (Sally Hawkins, superb) determination to swim to France also comes in handy. 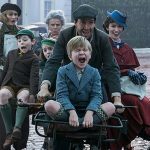 Henry (Hugh Bonneville), who has been passed up for promotion at work for a younger model has a renewed resolve and everything to gain from being a hero. The film runs out of steam in the final act with its train chasing scenes, none of which is particularly gripping or amusing. But the bear’s sweet nature is irresistible as we see how kindness and sincerity conquer all. Long before Paddington, Paul King was a director for the television series The Mighty Boosh. Here he co-writes with Paul Farnaby from that series, with\Farnaby replacing Hamish McColl, King’s co-writer on the 2014 film. Farnaby and Julian Barratt collaborated on the feature comedy spoof Mindhorn which also features an ageing actor who is forced to take on degrading commercials to make ends meet. In Paddington 2, it’s not just older actors who get sidelined, but the more genuine Henry Brown, a 9 to 5 man disillusioned by this lack of recognition. 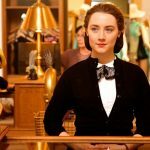 Remarkably for a film that wears its heart just above everywhere, there is a refreshing absence of sentimentality. While hardened criminals melt before the bear’s marmalade sandwiches and the Brown’s are the most supportive, good natured family in London, Buchanan has enough cynicism to ensure that things never get schmaltzy. Most remarkable of all, perhaps, is how Paddington and Ben Whishaw have bonded through their shared voice. If you know Whishaw’s work for stage (Hamlet), television (London Spy) and film (The Lobster, Skyfall, Brideshead Revisited) you begin to look for him hidden somewhere in his most endearing character.